hours notice of cancellation to they can reopen their books or accept other jobs. elbows to work tight muscles and ease tension. they like each other and have showered that day. jewelry or jackets may be removed. No oil or lotions are used during chair massage. ensure the health and safety of each client. What if I need the pressure adjusted? leaves their chair happy and with a little less stress than when they sat down. What can I expect during a chair massage? Before you sit down, your therapist will ask you if there are any areas you would like focused on. not apply when you’re in the chair. Won’t I be tired after getting a massage? 10 to 15 minutes and you’ll actually be more energized than when you first sat in the chair. follow you around for the rest of the day. Tennessee Chair Massage, but rather split evenly among the therapist who worked your event. I’m pregnant. Can I still get receive chair massage? family is growing and we’ll pair you with one of these therapists. their decision will be backed by Tennessee Chair Massage. determine the amount of therapists/massages you will need. A good rule of thumb is 4 – 10 minute sessions per therapist per hour. trained in chair massage and have experience in working chair events in various settings. for each client, but they can adjust their time depending on the amount of people waiting. In a corporate setting, 15 to 30 minutes is usually preferred. 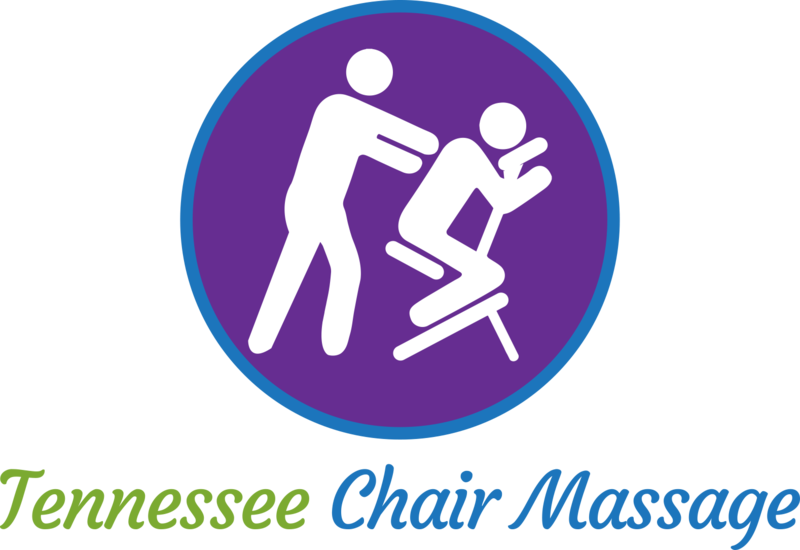 How much notice is needed to schedule Tennessee Chair Massage for an event? businesses, we appreciate a 2 week minimum notice so we can give them as much notice as possible. What is provided by the therapists of Tennessee Chair Massage? hands, relaxing music and timing device to make sure all massages are start and end at the appropriate times. While we are a fan of aromatherapy, we chose not to provide it at events for several reasons. aired out and the lingering scents could trigger a migraine, asthma attack or allergic reaction. If I find a particular therapist that I like, can I request them? Absolutely! If you request a specific therapist, we will do everything we can to get them to your event. Do you provide table massage? do. If you find a therapist that you want to get a table massage from, ask them for their card. work with them to get them back out at your future events!